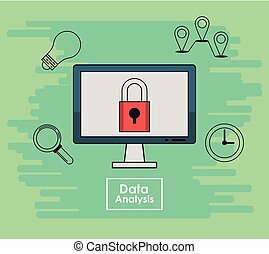 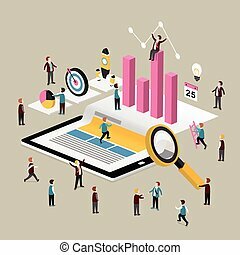 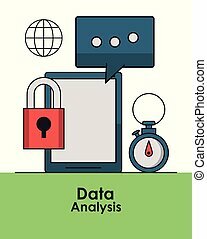 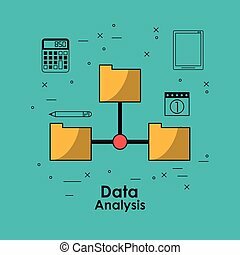 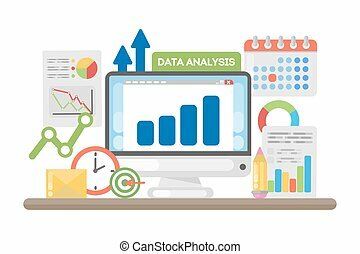 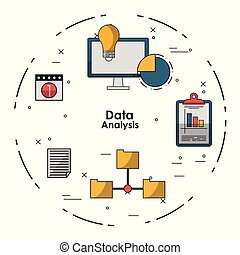 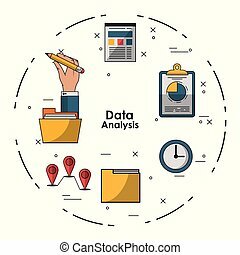 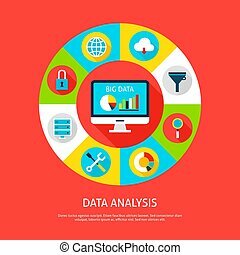 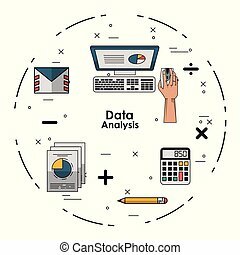 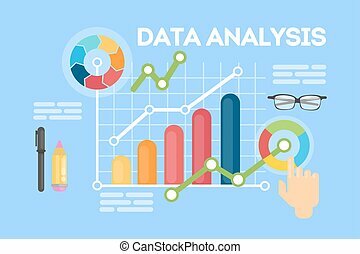 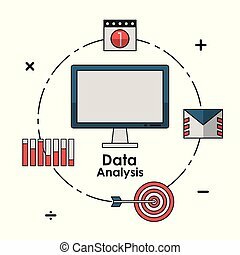 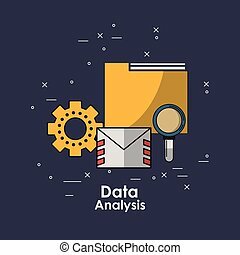 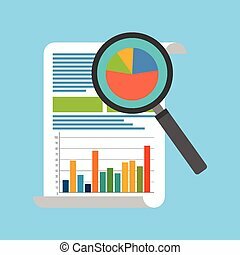 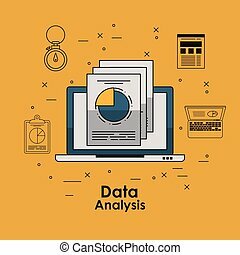 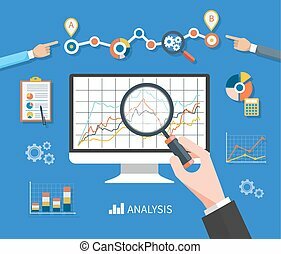 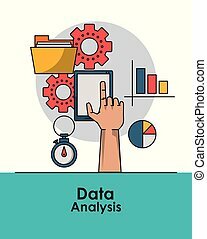 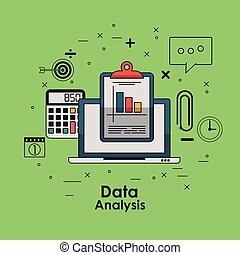 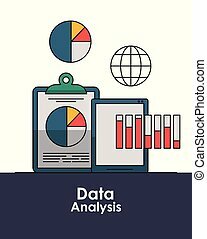 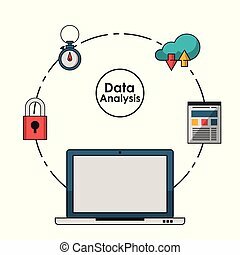 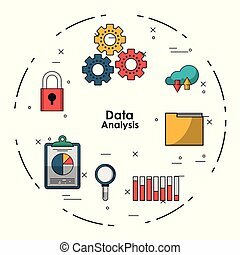 Data analysis concept with elements vector illustration graphic design. 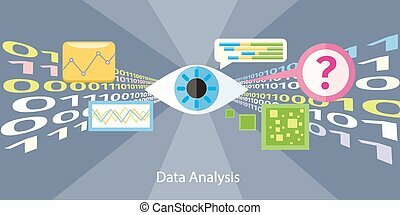 Data analysis concept illustration. 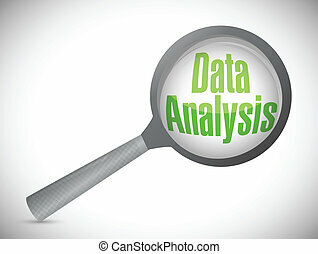 Processing and analyzing data. 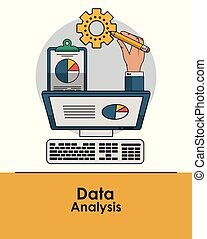 Data Analysis Concept. 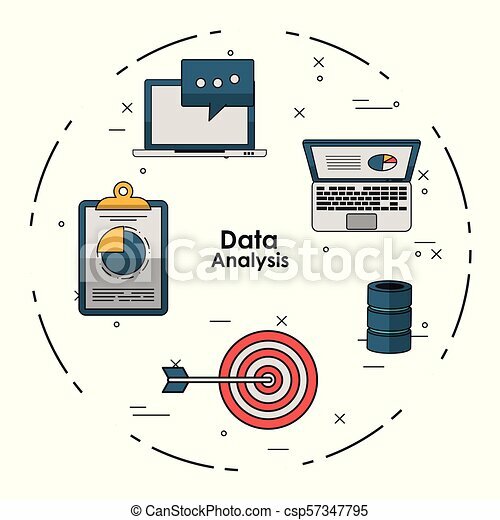 Vector Illustration of Database Infographics Circle with Computer and Digital Icons. 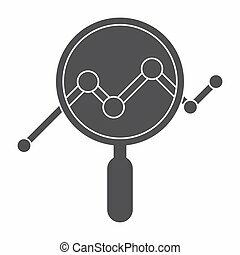 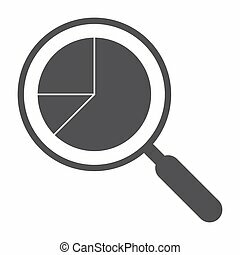 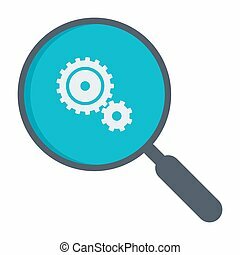 Analysis illustration with magnifying glass and gears. 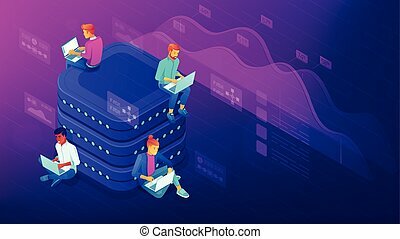 Isometric data analyst team working on laptops near the big database. 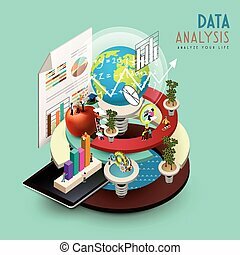 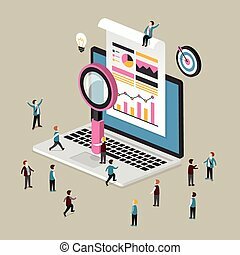 Big data analysis, market trends needs research examining data sets vector 3D isometric illustration on ultraviolet background.